I have a few cookbooks, not all that many really, they only take up three shelves on my bookshelf. I guess I could count how many, but really, why? Well, I guess I do, cause I just counted. I have 102 cookbooks, but I'm also counting the little booklet cookbooks. You know the ones you buy as an impulse at the checkout in the grocery store. But I never look at them anymore, they're mostly full of pre-made convenience items. And I just don't use them. A few years ago I had a self imposed moratorium on purchasing any 'new' cookbooks, I decreed that any 'new' cookbooks coming into the house had to pre-date 1965, kind of a arbitrary date, but I was comfortable with that. I like to cook, but really, all the shortcuts, pre-made and convenience foods that were featured in so many new cookbooks, they're just not for me. Well, I've purchased three cookbooks in the past few months. But I had a good excuse. They all had recipes in them that I wanted to make. And I was tired of taking pictures of pages of recipe books. I'm still hunting some other cookbooks I spotted at my other sisters' place, they're all in Danish and I just have to find the right place that sells them. The first book was one I spotted at one of my sisters'. 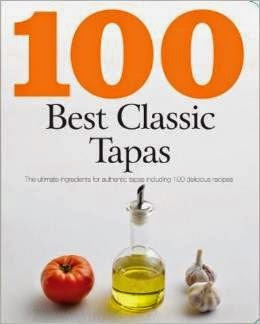 It's called "100 Best Classic Tapas." We host a Tapas Night every month, and when I leafed through her book, I spotted a few recipes that would be fun and easy and totally in character for Tapas Night. So I bought it, and have been having fun going through it and marking recipes I want to try. And so many of them are just simple, easy and look as if they are delicious. 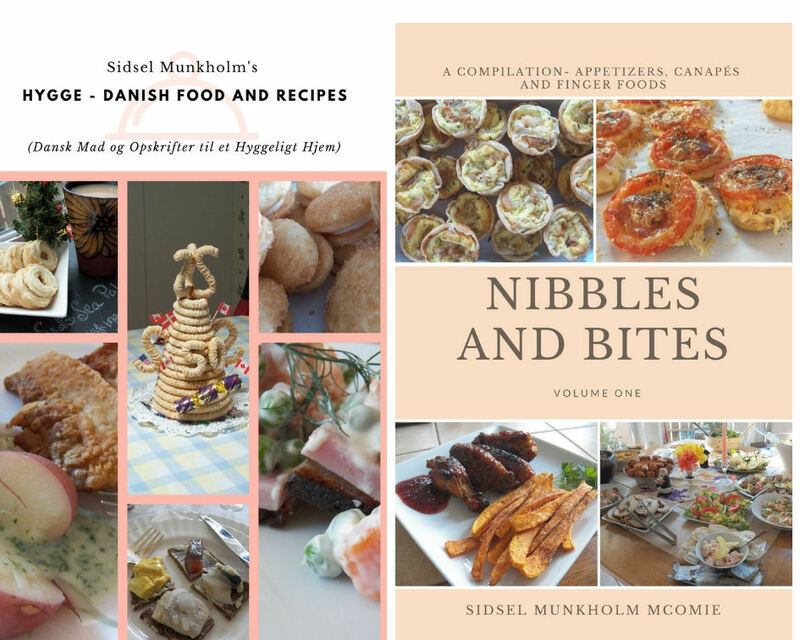 Then, after staying at my brother's place, and tasting his wonderful danish potato salad, and taking pictures of the recipes I wanted from one of his cookbooks, I decided, oh gee, it might be fun to see if I could find the book online. I did and bought it. 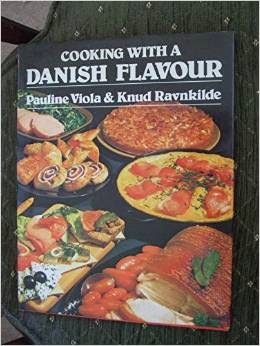 Cooking with a Danish Flavour. And I immediately went through it and bookmarked a few recipes. Including one that he had made and served. But when I made it, Danish Potato Salad, , I used some rather colorful baby potatoes, all pink and golden and then covered them with sauce and you couldn't see the pretty pink and gold. Oh well. And then the last one, well. There is a group on Facebook who kept talking about this other cookbook, called the Dairy Book of Home Cookery. They raved about it. But all of them agreed the older cookbook was the better one. So I got it. And while I'm just now reading it, it was a great choice. I've learned a lot from it already, and have started bookmarking recipes. Now the funny part, is that two of the three were published in 1978, the Tapas one is 2010. But not one of them features convenience foods. So I guess I broke my own rule. But, since it was my rule, I get to break or bend it a little. 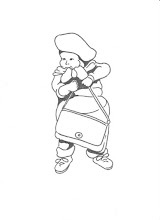 Now, please excuse me, I need to go finish looking up recipes, and see if I can figure out a good one to make for Boat Club on Monday. My brain's tired and I need inspiration. And besides which, it is the weekend and I'm kinda taking a busmans' holiday.